Looking for a smoothie to kick start your day with that is packed full of antioxidants and flavor? 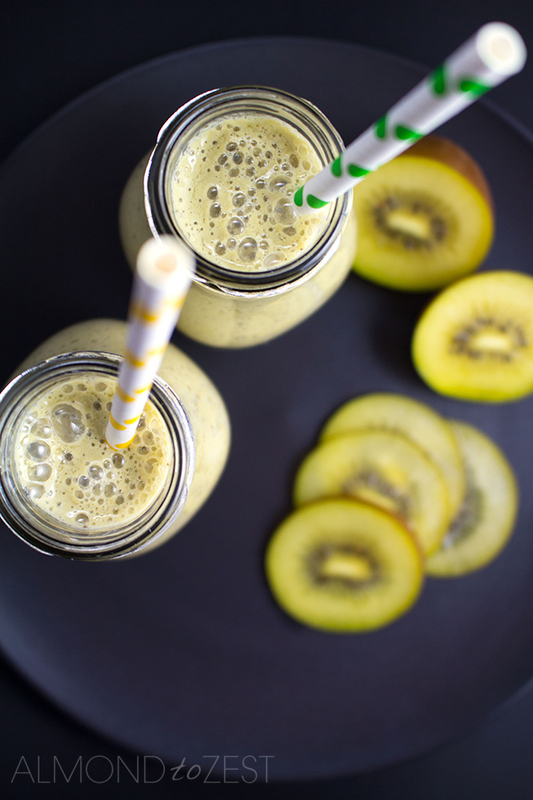 Then look no further cause this smoothie ticks all those boxes. Who here has tried matcha before? My first time was only a few weeks ago. I had been hearing a lot about this ‘on trend’ ingredient, so I did a bit of research and purchased my first bag. The first few times that I used this super concentrated green tea powder was in its most popular form, a matcha latte, which was pretty delish but kinda strong, especially for a beginner user. But I loved how amazing it made me feel and the slow release caffeine kept me buzzie for hours. So I started the search on how to incorporate this powerful superfood into my daily life, without subjecting myself to the overpowering flavor. And that is how this smoothie was born. 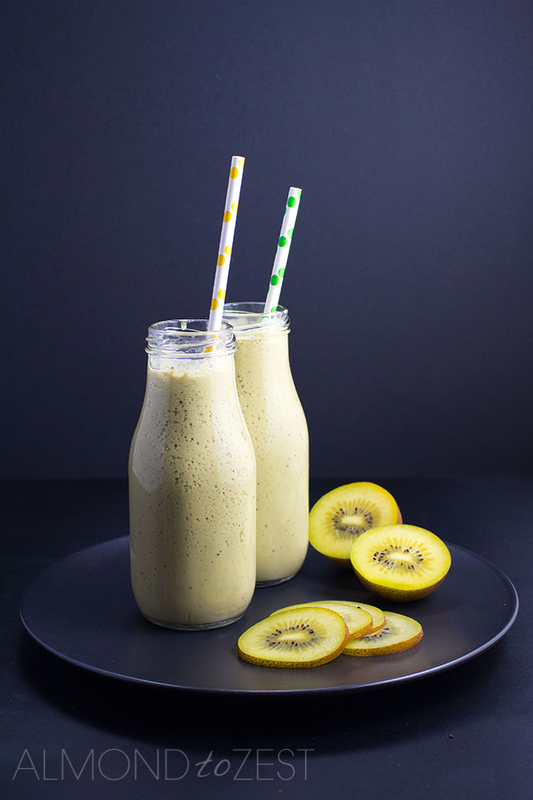 With a combination of banana, kiwifruit and matcha, this smoothie will surely not only fill you up but also will keep you going for hours, the perfect solution for those crazy busy mornings. I add a squirt of honey to sweeten things up and a couple of spoonfuls of natural Greek yogurt to bring creaminess to the smoothie. This also helps with dulling down the strong matcha flavor. And my trick to making sure you don’t get clumps of matcha in your smoothie is to dilute it in a little hot water. Take note that the matcha wont fully dissolve though. Now if this delicious tasting smoothie is still not enough to tempt you into trying matcha, then maybe this bit of helpful information will be the final twist of the arm. Matcha is packed with exponentially more antioxidants than any other superfood, in fact it has 137 times more antioxidants than regular brewed tea, with one cup of matcha tea equaling 10 cups of brewed green tea. This helps to prevent disease and enhances the body’s defence system. Matcha is a great addition to a weight loss diet as it not only boosts the body’s metabolism but also burns fat. And it is also a fantastic mood enhancer, aids concentration and relaxation. Place matcha powder into cup with boiling water and stir. 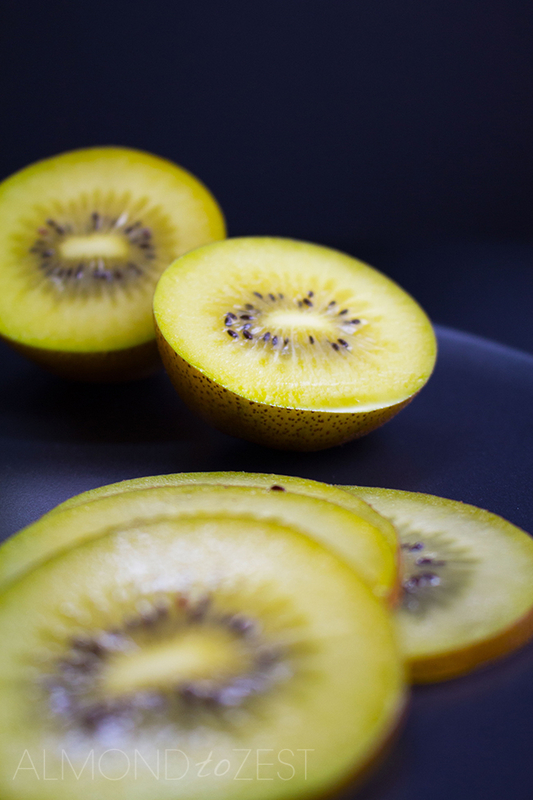 Pour into blender and add all other ingredients. Blend until smooth and serve.